We are an industry leading mechanical workshop which offers a full range of car service and vehicle repair to all makes and models using the latest diagnostic equipment. We specialise in services ranging from Air Conditioning to LPG Gas Fitting and repair. Our staff are knowledgeable service advisers and highly trained certified technicians who will provide your vehicle with the highest quality auto repair available. Our technicians take care of your vehicle’s maintenance and specialise in all mechanical repairs and hard to solve engine performance problems. 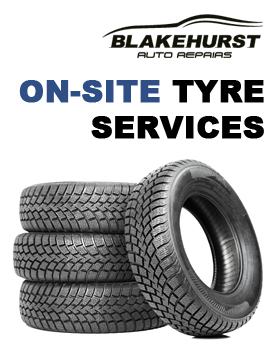 Our mission at Blakehurst Auto Repairs is to provide you with the highest quality service and automotive repair by using the latest equipment to diagnose your vehicle and fix it correctly the first time. We return your vehicle in a timely manner and provide you with 100% satisfaction in not only the repair, but in our service. Another division of our workshop is Blakehurst Automotive Developments which specialises in custom Dyno Tuning and performance upgrades. Our workshop is fully equipped with a Mainline Chassis Dyno, Dual Retarder with the capability of 2400 hp and 3400 nm of torque. Our Mainline Dyno has also been equipped with many options for testing and achieving more precise and accurate information and data in the testing of high horsepower Turbo charged and supercharger vehicles. We use software to remap your factory computer. A tune and remap will improve performance, driveability and general fuel economy. There are endless performance possibilities that we can arrange depending on your requirements and budget.